One of the quickest ways to generate traffic and draw potential leads to your website is pay-per-click (PPC) advertising. 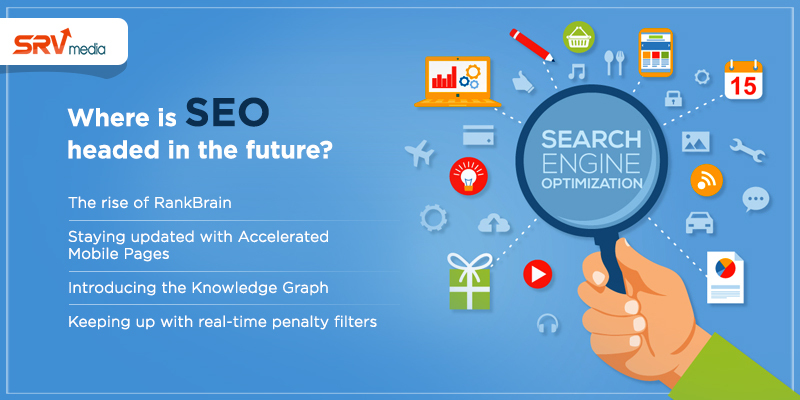 Using various platforms such as Google AdWords, Bing, Youtube, Facebook and others, businesses can advertise their products or services in the display and sponsored sections of search engines or dedicated ads area of other channels by paying each time someone clicks on that ad and is directed to their page. 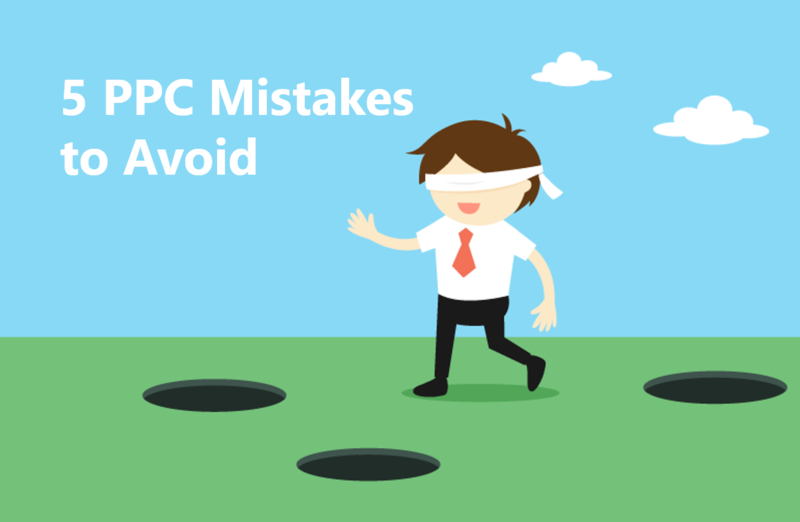 PPC can be very uncertain and can cost a fortune if not executed correctly. Many companies invest in PPC campaigns hastily and then have a hard time unlocking the potential later. Not that the marketers don’t have an idea of how to run campaigns but because they make mistakes that can be easily avoided. But don’t panic, these mistakes are both avoidable and easily fixable! Broad match keyword type adverts are shown up so long as the target keywords you have entered are searched for in one form or another, offering the most traffic. But you may be sacrificing precision for impressions. Showing up for searches that aren’t the right fit for your products or services, will only cost you a click with no conversion. A good approach is to begin with exact match types in your PPC campaigns. Say if you cannot get enough impressions and relevant conversions with exact matches, you can use phrase match and eventually switch to a a broad match. Or if you are already using broad match, and not getting good results you can scale back to exact and phrase matches. Well, how would you like it if you see an ad on a billboard about a juicy, cheesy pizza with generous toppings, and tempted by the picture you decide to go to the restaurant and have it. But, when you see the pizzas served, they look nothing like on the ad. You’d immediately leave the restaurant. Same goes with online ads. 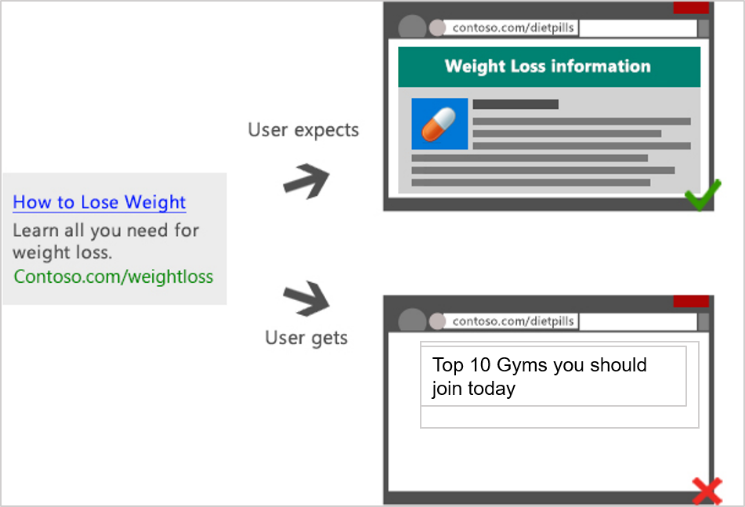 If what you show in the ad is not reflected on the landing page, it will result in a click (which you pay for) that came to the page and left the next second as no information was found that was expected from the ad. Wasted money, and unsuccessful lead generation! Here’s a bad example of ad to landing page. Delight your visitors with a perfect message match from the Pay Per Click ad copy to the page they land on – headlined with same keyword from the ad, same offer, same CTA and same images if any used! Google has geo-targeting and IP address targeting, which you can utilise to make sure the PPC advertisements are only going to be shown to those physically in that location. It does not help to advertise in areas where your product or service is not available. Additionally, you may be spending on ads clicked in locations that are not profitable based on your budget to advertise. Excluding these locations when creating the ad keeps the budget from getting exhausted in the wrong cities or states. The higher you bid, the more the clicks will cost, and so you start with low and go up gradually. But remember, setting your bids too low will knock you off the first page and in fact be of no actual use . Your CTR and ranking of the ad go hand-in-hand. As the rank of your ad increases, so dothe number of clicks. Early on, when you are setting up your campaign, you need clicks. The longer it takes to get clicks, the longer it takes to evaluate which ad copy, keywords, and landing pages are working the best. If you have a plan of slowly increasing the bids, you actually end up spending more on poor ads and keywords. That way, you’re losing potential conversions to your poor-performing ads. Although slowly growing your bids may sound like a good idea to save your bucks, this tactic actually costs you more in the long run. Note that what worked for you last week might stop working for you today – it is this variable! So keep monitoring all active campaigns to spot performance issues before you spend too much money doing it wrong way. Having drawn an extensive experience in the digital marketing industry, we at SRV Media have seen these mistakes cost companies many thousands dollars every month. But you don’t have to worry as avoiding these common pitfalls can take your poorly performing campaign to a position where it gets you high conversions and ROI! Thanks for sharing us informative article. Welcome Shrishti! Happy to help! How To Kick-start Your Brand’s Marketing : A Complete Guide!